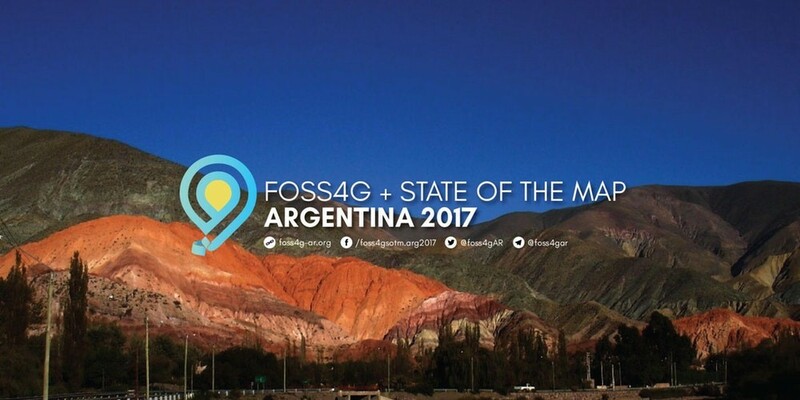 Let’s meet at FOSS4G+SotM Argentina 2017! Are you living in Argentina or visiting in October? Mark the following days on your calendar: 23-28th of October 2017! The OpenStreetMap and FOSS4G communities will meet at a combined event in Buenos Aires, for six days full of geomatics workshops, presentations, exhibitions and interactions, ending on Saturday, October 28th, with a mapathon and hackathon day! Are you interested? Read the detailed program. The conference will take place at the National Geographic Institute in Buenos Aires, where many OpenStreetMap related events are hosted. The Argentinian OSM community is very lively and you can get a glimpse of it at this recent interview on the OpenCage data blog. You can follow the conference news on the various social media (see the image above) and the related hashtag is #foss4gAR. This entry was posted in Regional State of the Map conferences on October 9, 2017 by Dorothea. Posting mostly in a Communication Working Group capacity (and often with text written collaboratively among CWG and others).